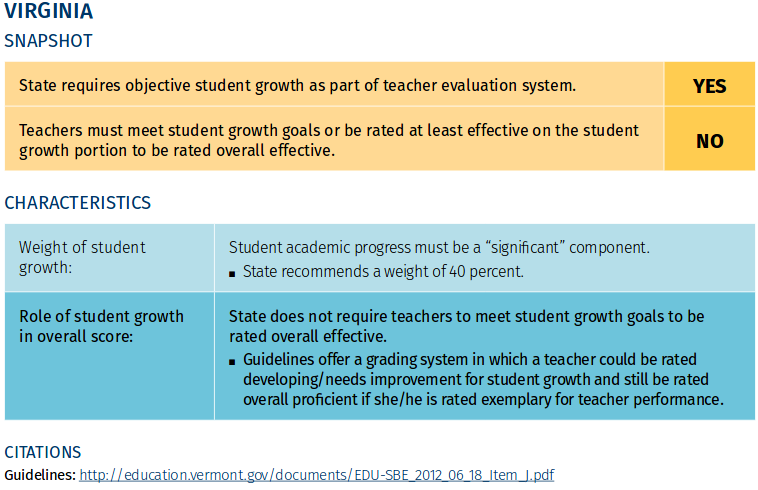 The National Council on Teacher Quality has a state-by-state evaluation of teacher evaluations. 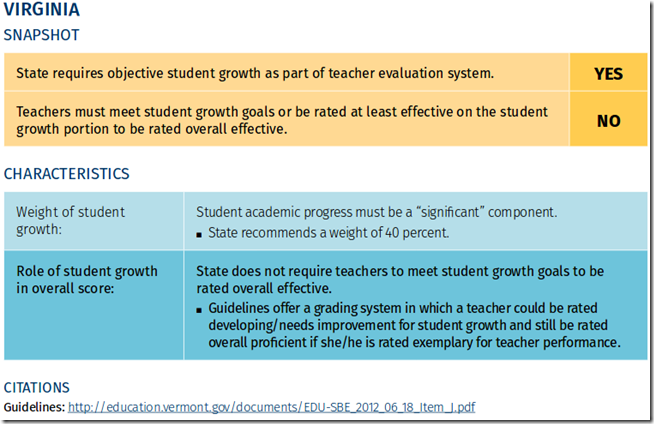 Their analysis flunks Virginia’s implementation of the (statutory) requirement for use of objective measures of student growth as part of the teacher evaluation system. In fact, that understates the weakness of the Virginia system. 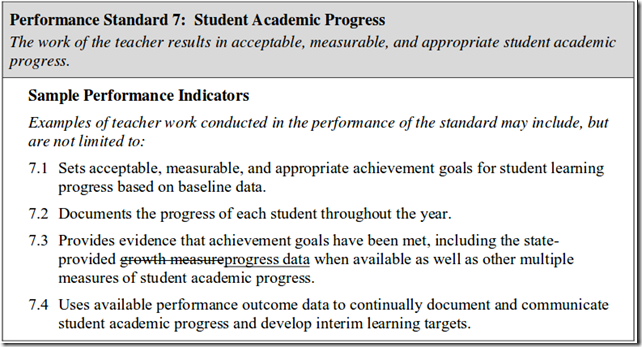 Evaluations shall include student academic progress as a significant component and an overall summative rating. Nowhere in “sets . . . goals,” “documents . . . progress,” “provides evidence,” or “uses . . . data” do the guidelines say that the teacher shall be evaluated based on how much the students learn. 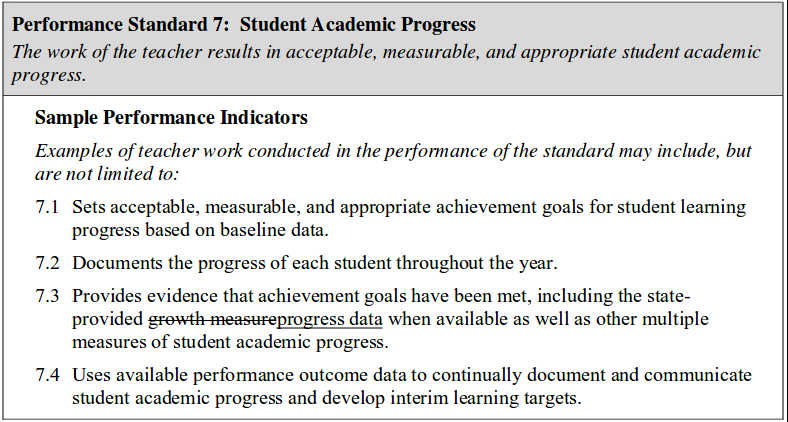 In the 2011 the statewide report of teacher evaluations (the only such report), three of 7,257 ratings were “unsatisfactory” and forty-nine were “needs improvement.” All the rest were “meets” or “exceeds” expectations. For a more detailed analysis of the Board’s feckless evasion of the law, see this.